To help governing boards plan their future leadership – including the fulfilment of chair, vice chair and committee chair roles – the National Governance Association (NGA) have released new free guidance on succession planning. Getting the basics in place – introducing the concept of succession planning, and why it is important that governing boards are proactive in this area. This section also recaps the role of the chair and the election process. Establishing a culture of succession – how ongoing, honest discussions about succession planning can create a culture where governors/trustees feel comfortable about discussing their intentions; and the importance of current chairs modelling good practice so that others feel that the role is manageable and achievable. 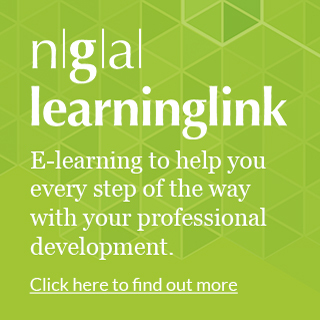 Using the succession cycle – identifying future opportunities and talent spot amongst existing, new or even prospective governors/ trustees can be an effective way of ensuring the board has the right people with the right skills at the right time. The cycle also explains the stages of gaining an individual’s commitment, identifying development needs and accessing essential learning and development. Developing governors and trustees – after conducting a skills audit, boards can prepare suitable individuals for leadership by offering additional responsibilities, and regular and blended opportunities for learning. This can lead naturally to individuals expressing an interest in taking on a chairing role. Ensuring leadership of the board – the cycle must be ongoing and evolving, and chairs should work together to determine the culture and conduct of the board, as well as to challenge, support and contribute to the leadership of the school. The guide also contains information on how boards can use the Future Chairs service, part of Inspiring Governance, to ensure that they are able to recruit skilled volunteers who are willing and able to take on a chairing role in the future. Succession planning is one of the five stages of to getting the right people around the table and builds upon the introduction provided in NGA’s guide to governor/ trustee recruitment and retention. 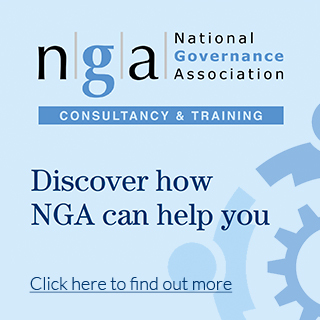 To complement the guide and further support governing boards, NGA is delivering succession planning workshops to governors, trustees and clerks as part its spring conferences and offering free sessions at education governance events. A delegate at NGA’s South East conference said: “Getting to the point when succession planning becomes a seamless process, almost a non-event, feels like the ultimate goal for governing boards”.